Excerpt of news-clippings from the scrapbook of Charles B. Andrus (1848-1937); member and commander of quasi-military organization Putnam phalanx in Hartford, CT. Contains descriptions of Abraham Lincoln's assassination along with juxtaposition of Lincoln and James Garfield's assassins. 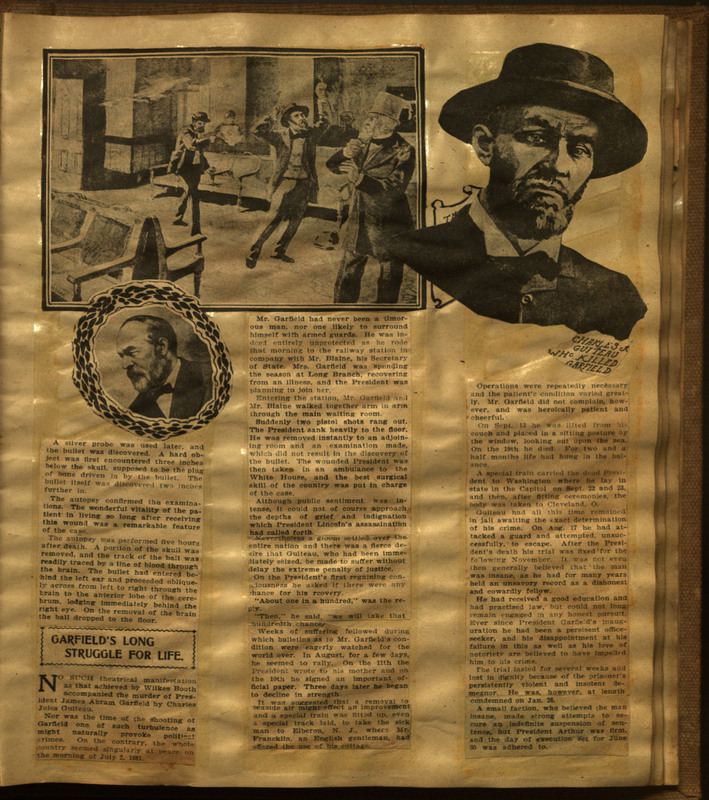 News-clippings attempt to draw conclusions about the motivations of the assassins based-upon a comparison of physical and emotional traits of each assassin.